Creators of the celebrated DOT® fastener. One of the most recognized names in the industrial fastener market, Scovill manufacturing company has been making quality products since 1802. We recommend using Scovill fasteners, grommets, washers, and tools because of their tested performance and use across several applications. Many fabricators and craftsmen recognize Scovill for its DOT fastener collection. The versatile snap fasteners offer unique designs, heavy-gauge materials, and weatherproof features that make them ideal for outdoor fabric projects. For your next project, source Scovill products for hardware that holds firm against the elements. We offer over 200 styles in Scovill grommets and washers. These small ring-shaped parts are a key component in designing boat covers, custom awnings, banners, curtains, drapery, and outdoor upholstery. They come in robust brass, stainless steel, and aluminum to best suit your intended use. Choose from plain, rolled rim, or self-piercing grommets, with a variety of washers including spur, plain, and tooth styles. 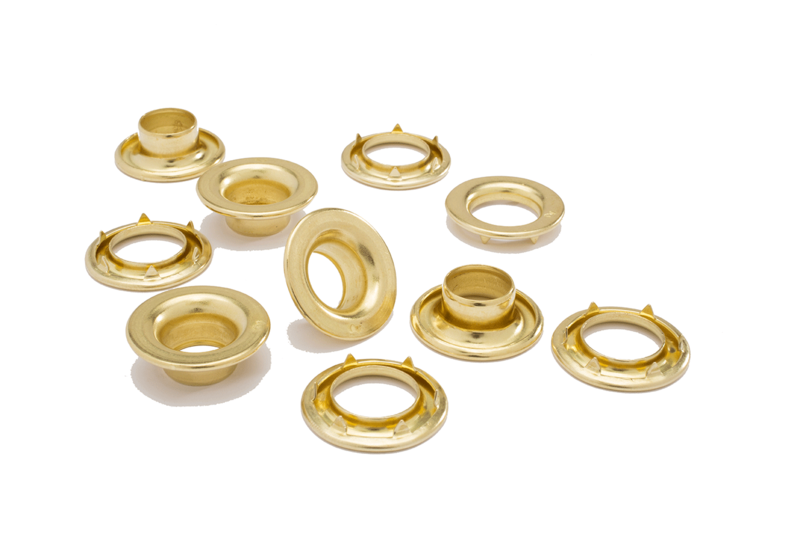 All grommets come in various hole sizes and finishes. Not sure which is best for the job? Refer to our main Grommets page for a quick reference guide. For an entry level all-in-one solution, try a complete Grommet Kit. Snap fasteners offer an easy, convenient method to attach and secure fabric. Discover dozens of ultra-secure DOT fasteners in our marine hardware section. They offer features like rust resistance, easy-release design, vibrant enamel colors, and more. 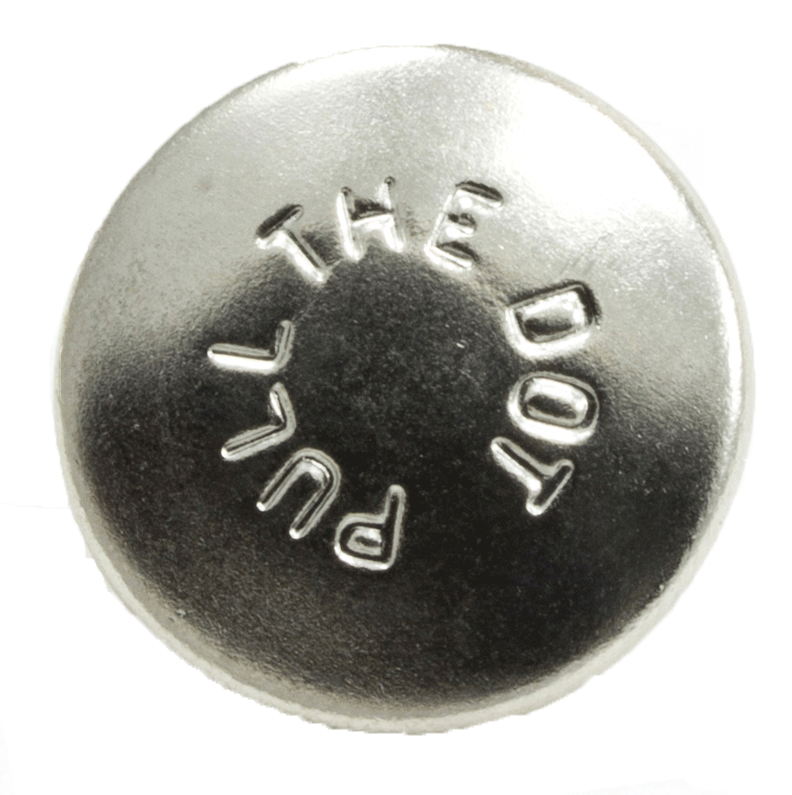 DOT Durable™ is a heavy-duty button snap fastener with main uses in the marine realm. Here you’ll find: Durable Enamel Caps in bright, UV-stabilized colors; Baby Durable™ for a smaller, subtler version of standard DOT Durable; and Mariner™ caps in black and white. Look through our marine fasteners section for Common Sense®, DOT Durable, blind rivet studs, Lift-the-DOT®, and windshield clips. DOT Common Sense Curtain Fasteners, also known as Common Sense, Murphy, or Twist Fasteners, can support multiple layers of fabric for ambitious projects. DOT Lift-the-DOT and Pull-the-DOT® fasteners get their name from their unique, controlled design. The fasteners lock on three sides and open by lifting or pulling the fourth side—so they only release when you want them to. Outside of grommets and fasteners, Scovill also produces the related setting tools needed for proper installation. Explore hand tools, setting punches, dies, cutters, and hand presses like the DOT Snapmaster M840 and the M-380E Hand Press. Working on a slim budget? Browse through our hardware specials for the latest Scovill sales.